There have been many times over the years, where in a model arrives at work wearing a full face of makeup. I sometimes sigh at exasperation because some of these models do not abide by this simple rule: “Come To Work With A Clean Face”. Most of the time I work on location with no proper amenities. Sometimes I am behind a black curtain backstage in a fashion show. If working in a proper studio I am pressed for time. When a full cleanse is not possible, this is where I pull out the cleansing wipes. 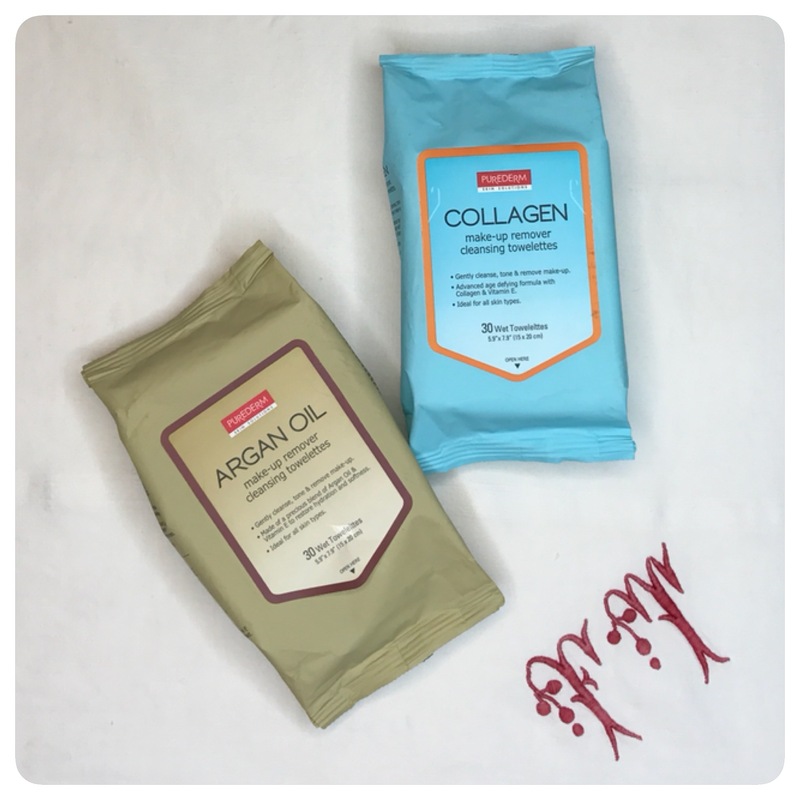 My favorite to use are the Argan Oil and Collagen Make-up Remover Cleansing Towelettes from Purederm Skin Solutions. These don’t have any other ingredients that might not work in tandem with most of my cosmetic products. I am also cautious when it comes to using certain products that has vitamins, anti-aging ingredients, and exfoliating properties because the person I am working with might get a reaction. I do not want that to happen while I am at work causing unwanted delays. I use the Collagen Make-up Remover Cleansing Towelettes when I am working with a person who has combination to oily skin. This way I am still able to effectively remove makeup and excess oil with out overstimulating production. I use the Argan Oil Make-up Remover Cleansing Towelettes when I am working with a person who has dry to normal skin. The minute amount of argan oil will leave the skin nicely moisturized. I mix different colored foundations on it. I warm concealers on it. I check the slip of eye pencils / gel eyeliners on it. I create lipstick shades and check if a lip liner is a match on it. I used to use alcohol and tissue to remove them but they are not effective in fully removing cosmetic products. With the cleansing towelettes, my cleansing process is cut in half and I don’t get makeup stains on my clothes anymore. Purederm has four other types of cleansing towelettes available namely: Peptide, Tea Tree, Q-10, and Vitamin. So you have an array of product types to choose from according to your needs and skin type. Upon doing some research, I found that these cleaning towelettes are made by a Korean company named Adwin Korea Corp. The same company who makes Skinlite facial Masks. To read my blog about those facial masks, click here. These cleansing wipes are available at Watson’s. They retail for Php 99. Do be on the look out because they go on sale once in a while, slashing the price 50% off *winks*. To know about Purederm Skin Solutions, visit their website at www.purederm.com. Check them out at the Watson’s Philippines website at www.watsons.com.ph. Now, what might work for me might not necessarily work for you. Make sure to read the proper instructions before using this product. Always take time to read the ingredients lists before purchasing. Be an intelligent consumer. Only buy products that suit your skin type, skin care routine and budget. I’ve tried this one. But it was the orange one. All I know at that time that it was an affordable make up remover. Thanks for this post. That must be their Q-10 Makeup Remover Towelettes. I haven’t tried that yet though, but yes, they are affordable yet effective. Yeah, that’s right. The Q-10 was easy to use too.